Despite the fact that humans commonly live with animals right in their homes (which is kind of weird if you think about it), much about even domestic animals like dogs and cats remains a mystery. While we have pretty good evidence that the felines among us do, in fact, have dreams, what do cats dream about? Since cats are fairly intelligent as far as animals go but not quite up to snuff compared to humans, we can reasonably infer that their dreams are sort of like ours but less abstract. During their 16 to 18 hours of sleep per day with frequent REM cycles, cats probably dream about a mashed-up mix of their normal, everyday cat business. 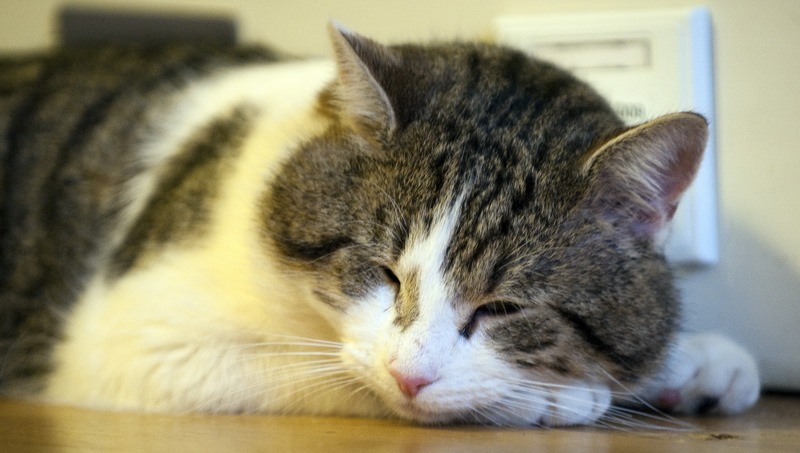 While you might think that your cat's sleep-running and other movements give clues about her dreams, most of the dreaming actually occurs during the times when she's apparently asleep but totally relaxed. When some scientists removed the part of the cat's brain that keeps it from moving during dreamy REM sleep, they created sleepwalking cats who were mobile and aggressive. More recent (and more humane) studies involving scanning of rats and finches shows that they display much the same pattern while awake as while asleep. So, no wonder kitties sleep as much as they do. In fact, they might not even realize that their dreams weren't real — so cats can enjoy all their favorite cat behaviors, with none of the effort required, for most of the time. Pretty sweet deal. Those zombie cats were super mobile during their REM sleep and even moved their heads like they were tracking stimuli, so you can be sure that sleeping cats do plenty of chasing. Cats don't necessarily need to be chasing anything to run, though. Sometimes they just spontaneously take off on cat errands. Dreaming cats are likely no exception. Cats certainly spend their waking hours killing (or trying to kill) stuff, so it stands to reason that this topic would make it into their dreams. Those dreaming cats are trying to kill mice, they're trying to kill birds... your cat might even dream about trying to kill you. Did you give in to temptation and scare your cat with a cucumber recently? Maybe the poor thing is now having nightmares about what was apparently a very stressful experience. Or maybe she is just furiously attempting to outrun your neighbor's pitbull.